It was very easy coming up with this month’s focus. If you follow my tweets and posts on facebook, you’ll know that since the 1st of November, I’ve decided to embrace a vegan lifestyle. I’m starting off with a plant-based whole foods diet immediately, whilst making the shift to becoming more environmentally and animal friendly. that you make the decision consciously. Most of us spend our lives living in ignorance, and yes, the saying is “ignorance is bliss”. I was extremely touched by the movie Earthlings and it was a huge kick up the rear in remembering that we are not alone in this world. Why should we, humans, think that we’re better than any other life form that we share this world with. I’m not saying that I know it all. Rather, I know very little because whilst I’ve been a vegan before, it was out of convenience as my boyfriend at the time adopted a vegan lifestyle and he did all the cooking?! This time round, it’s a conscious decision and mistakes will be made along the way. However, if I can make a difference and play my part in being kind and compassionate to the world we call home, then so be it. On, and off the yoga mat! How do you approach your yoga practice? Are you harsh on yourself when you can’t get into a pose? What conversations and arguments are you having with yourself in your head? Look for ways to be kind to yourself … in body, mind, heart and soul. Be kind with how you talk to yourself in your head. Be kind with how you treat your body, inside and out. Be kind with how you treat your heart and soul. This is an interesting one … whilst we can appear to be kind to others outwardly, only you know what happens in your head. It’s one thing smiling and being nice to someone; it’s another if you’re cursing at the person who barged in front of you in the supermarket queue! I know … I’ve been there (well, I wasn’t the person who barged in front of you), having a spot of road rage in my car, fuming when someone jumps the queue, sulking when someone gets the limelight ahead of me. We are human and emotions will arise. What’s important is to realise our emotions when they arise and look to understand why we’re reacting the way we are. I love this quote ..
To me, this is just an extension to being kind to others. Our time on earth is limited and we should view ourselves as having been given the opportunity by Mother Earth as a guest. How do you behave when you’re a guest in someone’s house? I’m sure you treat their home with respect. So, why aren’t we doing the same with our planet? Not only is it our home, it’s to be the home of our children and their children. 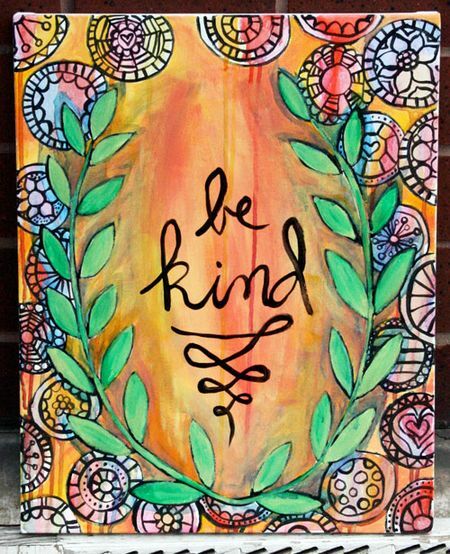 How can you be kind this month? I’d love to know do share your thoughts and comments. If you haven’t seen the film Earthlings, watch the full film for free by clicking here.